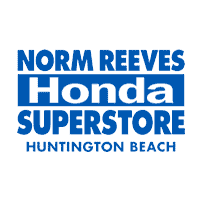 When you’re looking for a Honda dealer near Long Beach, CA, you can always drop in and see us at Norm Reeves Honda Superstore Huntington Beach. We’re proud to assist local drivers in finding the right car, so if you’re in the midst of choosing your next set of wheels, you don’t have to worry because we’re a Honda dealer near Long Beach that’s ready to help you get started on your journey! Keep reading to learn more about how we can help you! Long Beach is the third largest city in California and is home to almost half a million residents. There’s plenty of quaint neighborhoods, as well as bustling city streets with plenty of local shops and eateries. The city even features some of the most beautiful and relaxing beaches in the southern California area. The city offers plenty of attractions and even brings in plenty of tourists throughout the year. Whether you’re looking to head to the beach, check out the RMS Queen Mary, or head to some of the local shops, you’ll want the right car to help you navigate East Shoreline Drive, Pacific Coast Highway, or even the Seaside Freeway. 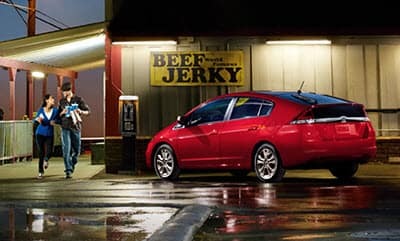 When it’s time for a Honda, you can always come and see us. Having a Honda dealer near Long Beach close by makes the experience of finding your next car easy and convenient. You’re always welcome to head over and begin taking a look around at our inventory. However, you can also get started on your browsing right from home. 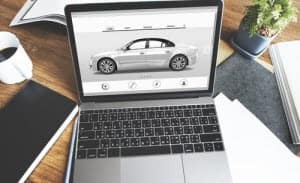 Simply head to our website and online inventory to catch a glimpse of models like the sleek Honda Accord, the adventurous and agile Honda CR-V, or the eco-friendly Honda Clarity Plug-In Hybrid. You can find your next vehicle without having to leave the house! Part of making the right decision is to have the necessary details to inform that decision. That’s why we have plenty of resources for drivers to use to help them figure out which of their options is best for them. Our Honda reviews showcase the important factors of the vehicle like engine power, interior features, safety, and style. Our vehicle comparisons help you see the true differences between a Honda model and a similar vehicle from a different make. They’re compared and contrasted between their features and components so you can see which vehicle offers you more. One of the biggest steps toward deciding on your next car is to actually get behind the wheel and experience it on the road. Taking the test drive will help in a variety of ways. You can get a sense of the vehicle’s performance and handling, but you’ll also get to peer inside and actually check out its features and amenities. After taking the test drive, you’ll have enough knowledge and experience to have more certainty with your decision. When you’re ready, come see us or schedule a test drive! At Norm Reeves Honda Superstore Huntington Beach, we’re proud to help Long Beach drivers find the vehicle that they can rely on!